Take down dam inside Yosemite? 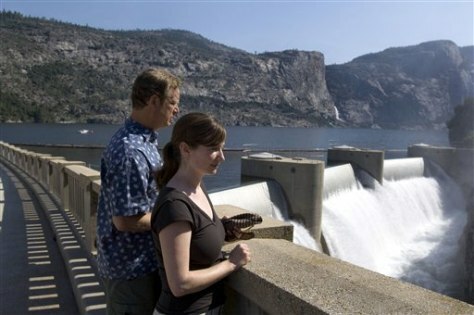 Environmental Defense analysts Spreck Rosekrans and Ann Hayden look over O'Shaughnessy Dam near Yosemite National Park, Calif., on July 24. The environmental group wants to have the dam removed so as to restore the valley behind the 300 feet of water.